Being authentic is really, really hard when it makes you look uncool. In the stories we make up about ourselves—to project who we are and how we want to be perceived—we often gloss over the uglier, messier parts. Teenage girls, especially, are taught that many of their feelings and thoughts are silly, insignificant, and shallow. It’s into those frequently shameful anxieties that Taylor Swift has pried during her eight-year career. Her songs probe what it means to be a teenage girl and young woman, setting herself apart from her contemporaries with unabashedly authentic examinations and portrayals of her own life. She doesn’t leave anything out. That’s the case with “Fifteen” off her 2008 sophomore album, Fearless. “When you’re 15 and somebody tells you they love you / You’re gonna believe them.” Singular/plural pronoun agreement aside, it’s the type of line found in a lot of heartache songs. 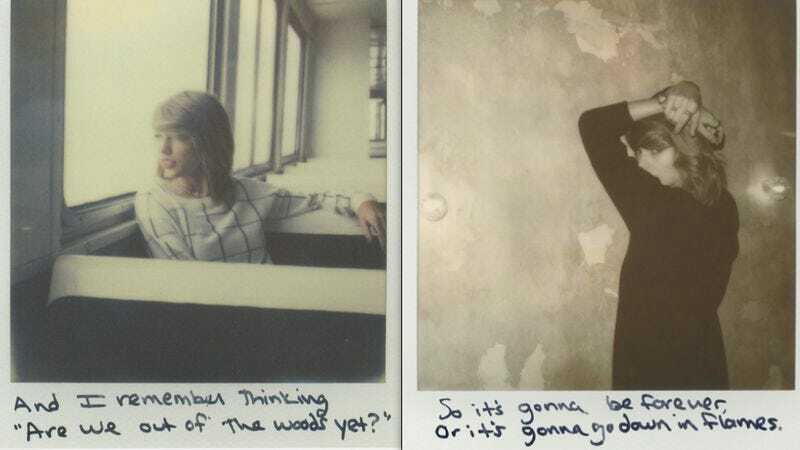 It’s a different line from the song that provides insight into Swift’s value: “In your life you’ll do things greater than dating a boy on the football team,” she sings. I’m sure when I heard that line for the first time I cringed. It’s painful to hear someone your age express the desires you try so hard to hide from your cooler friends. But it’s also liberating to hear someone your age admit to the same embarrassing inclinations. Swift goes on to explain that the age of 15 was a time “when all you wanted was to be wanted.” As a 25-year-old feminist I shudder to recall how desperately I wanted a boyfriend in high school. I’m sure I wasn’t alone in that, but I was too ashamed to acknowledge, much less discuss, that type of desire. On the radio in 2008 I would have heard Colbie Caillat’s “Bubbly,” Katy Perry’s “Hot N Cold,” and Britney Spears’ “Womanizer.” All fine songs, but not songs that had anything to do with me. Swift’s “Fifteen” was different. Plenty of classmates—from those who memorized the lyrics of Flo Rida’s latest to the cooler ones who listened to The Shins—smirked at a song revealing the teenage heart of Taylor Swift. Plenty of adults around me dismissed Swift, too, as frivolous, empty, ditzy—any of the adjectives used to describe media by and for girls. In that environment I was afraid to give voice to my adolescent longings, but Swift wasn’t. And like any music that touches you personally, that song acted like a balm on some of the damage I did to myself by denying my feelings as valid and my desires as legitimate. If the point of art is to connect to others, no one shared in my deepest teenage insecurities more than Swift. She’s absolutely right. That’s a powerful theme for girls to hear: that they are valid. Swift maintains that stance on 1989; if the album is different from its predecessors, it’s because Swift takes that message to new heights. Peer pressure, desires, and insecurities don’t end when high school does. On 2010’s Speak Now Swift asked why people had to be so mean. Now she’s shaking it off, and taking the criticism aimed at her in stride—it must be frustrating for someone so musically talented and hard working to be constantly judged by her dating life—and turning it into an anthem of power. This can be seen in her “Blank Space” video, a meta critique on her own caricature as boy-crazy starlet. In it she sings, “I’ve got a long list of ex-lovers / They’ll tell you I’m insane.” Then she actually goes insane, satirizing her mediated role as if to say, “You want crazy? I’ll give you crazy.” This smirking middle finger to her detractors—embedded in the rest of the album, where she continues to do what they judge her for—is an empowering stance. It’s also why she’s still relevant to me, seven years after I left high school. Her music isn’t really about boys and breakups. It’s about legitimizing yourself when you’re at your most vulnerable, and being true to yourself even when it’s hard because you’re so not cool. 1989 is sophisticated in its glitzy pop and Swift’s growing skepticism to fairy tale romance, but it’s not the new sound or her maturation that make it such a success. Much of that praise misses and misunderstands what makes Swift so popular among her demographic: Her message has always been one of telling the truth to yourself, even if it’s painful, or uncool, or shameful—especially if it’s those things. She may be manipulating the medium, but it’s only to deliver the message.